Looking for some home energy savings tips? We’ve got a few for spring, and they’re mostly directed at your home’s windows. Residential windows have a direct impact on your average cooling costs during summer. Ineffective windows are energy drains. All that nice cool, conditioned air is more likely to escape through older windows. Plus, windows nearing the end of their service life are not well insulated. They don’t effectively filter sunlight, and as such, you’re more likely to experience hotspots in your home because of this. Your AC has to work harder to compensate for both of these problems, increasing your electric bill dramatically. In short, if you’re interested in home energy savings, start by maintaining and updating your windows. Spring is the perfect time for a window tune-up. So, what should you be doing? These spring residential window maintenance tips will help you reduce cooling costs all summer long. 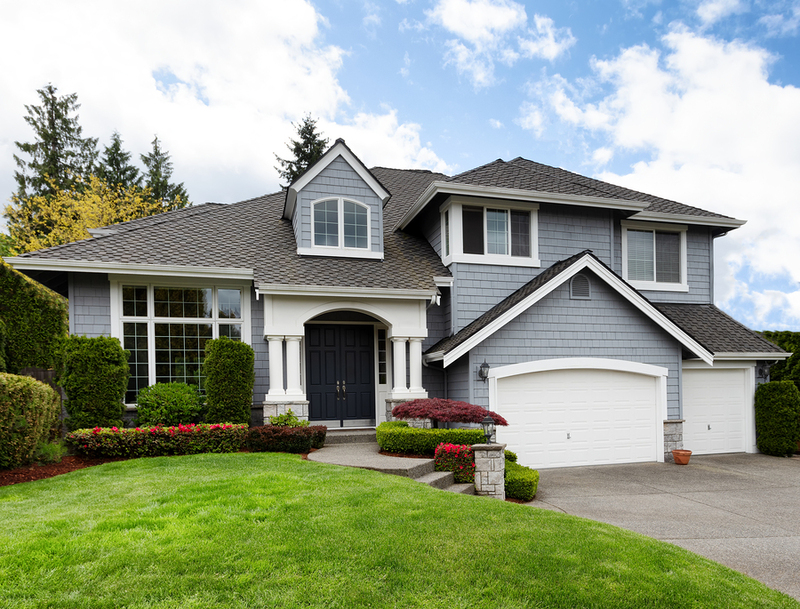 By conducting a whole-home inspection, you’ll be able to create a summer maintenance program for your windows. Clean residential windows don’t just look great. They also perform more efficiently. How exactly are clean windows more efficient? Regular window cleaning slows natural degradation of the frame as well as wear and tear. Therefore, this is essential for long-term window performance. Dirt and grime can also get into the hardware, weatherstripping, and tracks, making it more difficult to fully close and seal your windows. After inspection, you’ll have an idea of the overall status of your home’s windows. Residential windows typically last 15-20 years; although today’s vinyl custom windows may last 25 to 50 years or more, thanks to improved frame materials and manufacturing processes. If many of your home’s windows are damaged, it’s probably time to consider new replacement windows. Updating old windows results in wonderful home energy savings. According to the DOE, new windows can reduce costs by as much as 10-25%. Pro Tip: To best protect from summer heat, choose custom windows with a low Solar Heat Gain Coefficient (SHGC). SHGC is a measure of how much of the sun’s heat is blocked by a window, and recent advances in glass coatings have dramatically improved these efficiencies. Some of the windows available today are more than 3X more effective in blocking summer heat gain than double pane windows produced just 25 years ago. Solar heat gain is one of the leading causes of rising home energy costs. Solar heat gain occurs when sunlight flows into a room unobstructed, increasing the ambient temperature in a room by as much as 10-20 degrees. New custom windows are the best solution. They’re designed with coatings and gas fills to greatly limit solar heat gain and filter the sunlight. But new window treatments are another solution. Updating old blinds and curtains with insulated blinds and curtains is the best solution. For optimal results, choose daylight blocking, custom sized curtains and blinds that seal effectively to the window frame. Many of today’s replacement residential windows are manufactured with Low-E coatings. These coatings filter sunlight and reduce solar heat gain. Reflective films provide a similar benefit. Essentially, these are films that tint a window and reduce heat gain. They’re most effective on south, east, and west-facing windows, which absorb the most summertime direct sunlight. Although they’re cost-effective, reflective films can be difficult to install or may begin to bubble, if installed improperly. Films also peel over time, making this a short-term solution. Solar screens are another option that provide similar benefits to films. Solar screens are aftermarket screens for residential windows. They’re often darker and more densely woven. In effect, they’re like sunglasses for your windows. One potential problem: Solar screens are much darker than standard screens with new replacement and custom windows. Dark screens, therefore, alter the look of a home, and because of the dense weave, they can limit airflow. Across Maryland and Virginia, many contemporary homes are built with substantial overhangs, which help to limit direct sunlight. Conversely, many historic homes – in places like Annapolis, Frederick, Baltimore or Alexandria – do not feature large overhangs. Awnings are one solution to this problem. In summer, awnings can reduce heat gain by 60% or more, a source of significant home energy savings. Unfortunately, in winter, this heat gain is often beneficial, especially on homes with older, inefficient windows. Therefore, awnings should be retracted or removed in winter. Doors can also be sources of excessive energy loss in summer. That’s especially true of large sliding glass doors and French doors. First, check on weatherstripping. Weatherstripping will help limit drafts and prevent cool air from escaping the home. Films and treatments can also be effective for limiting heat gain. Ultimately, if your home has older doors, especially doors with glass, it might be time to consider replacing them with one of today’s high efficiency ENERGY STAR rated doors. How much home energy savings could you expect from new custom windows? Replacement windows are the best solution for old, leaky, inefficient windows. Call WeatherMaster Window today to learn more about the benefits of new custom windows for your home.